Summer has arrived and with that comes the legendary hex hatch. I've been fishing a lot since graduation and have gotten into some pretty nice fish these past few weeks. Even in a drought the fishing has been pretty nice, I hope it stays this way until we get some water. Here is a huge report of what I've been up to! 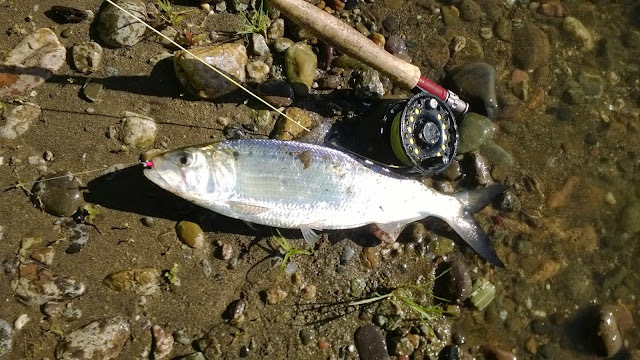 The shad run is still running but the numbers have dwindled down a lot since mid May. 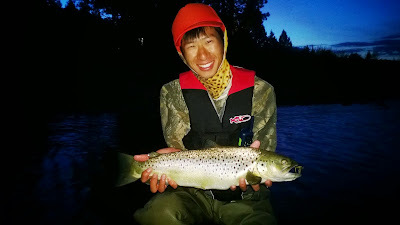 I actually had the opportunity to fish a slow run outside of Chico a few times before the crowds started to arrive. 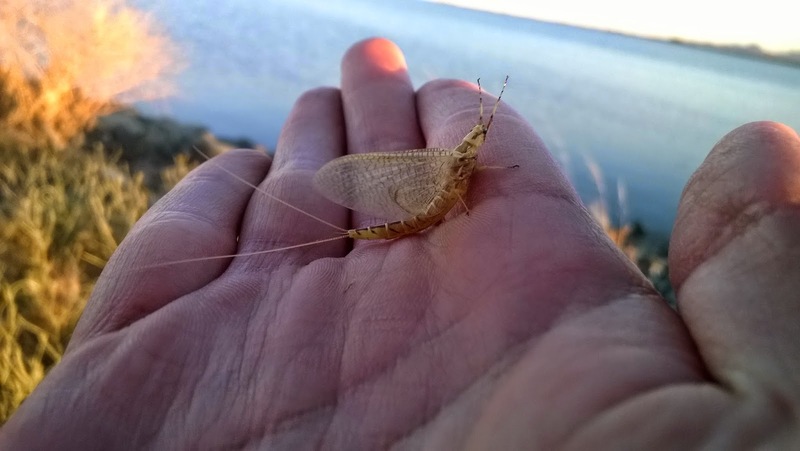 I caught a few and boy are they fun to catch on a fly, so many jumps! I came back a few times to find that the same spot was completely full of people thus finishing my season for shad. No combat fishing for me thank you. This year is my first time fishing the hex hatch and damn it is amazing. I invited a buddy of mine who has never fished the hex hatch to tag along. 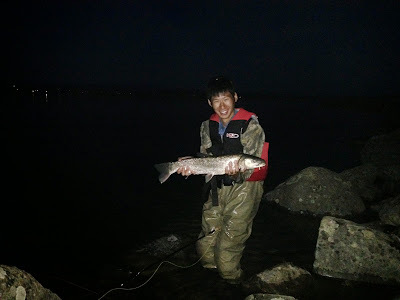 Although he didn't catch anything except a small panfish, we both realized that nothing beats fishing at dusk for big fish that will rise for a dry. 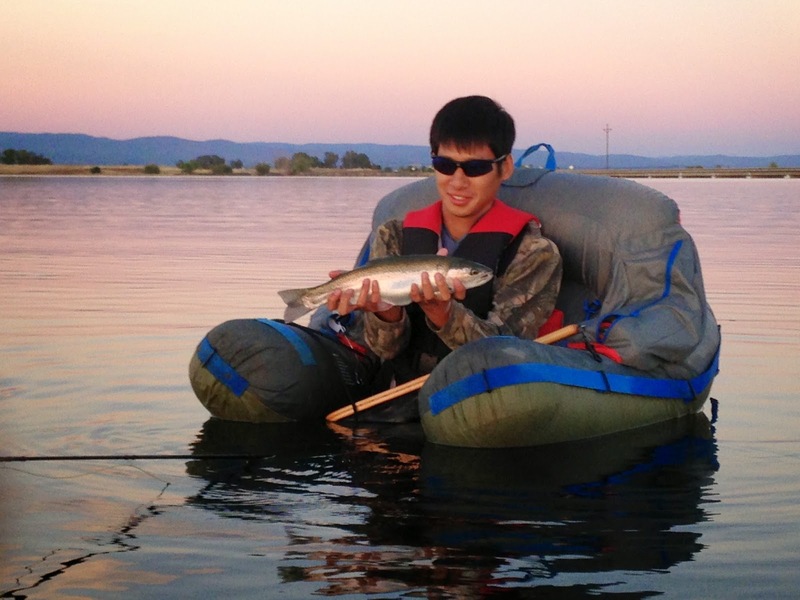 I caught a big squawfish and steelhead at the Afterbay as a practice run for the ultimate hex hatch in Almanor. After work, Amanda and I drove straight to Alamnor to try and catch the hatch. Although I didn't have any success nymphing in the early stages, I manage to redeem myself by catching a fat 18 incher on a dry fly. There were several old timers out there cheering me on after I hooked and landed my first brown and that's a memory I will never forget. 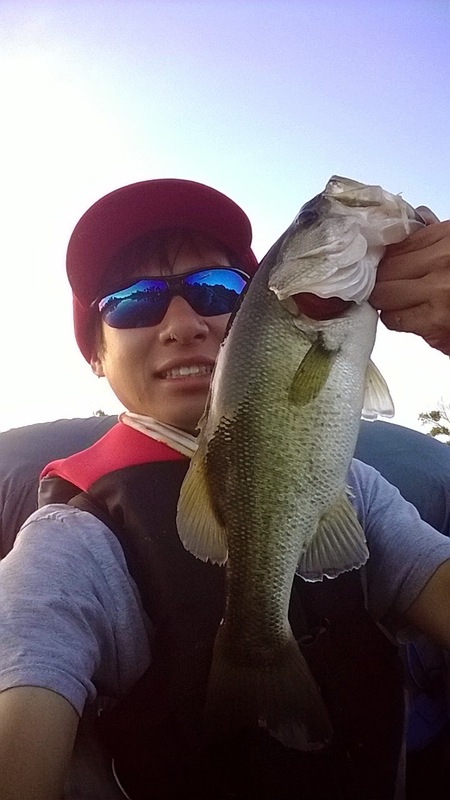 When I first arrived there with my float tube and saw how weedy the pond had gotten I told myself, "I will either catch nothing or catch the biggest bass of my life." I came pretty close to catching the biggest bass of my life. I floated around throwing frogs all over the place and didn't catch anything until sunset. There were two other anglers throwing frogs from the shore that managed to hook into some big bass. One of the anglers caught an 5-6 pounder which pissed me off cause it was the only water that I wasn't able to cover before he got there. I hooked and landed a 3-4 pounder later in the day on a frog fly but that was it. I floated there the next day hoping to catching that big fish. I didn't get her but I managed to hook into some nice size bass. It felt good catching fish on my tube because everyone else was on the bank. There was a huge advantage in paddling around like a duck in heavy weeds throwing frog flies to where the fish were rising. The lower part of this creek is a biological disaster. It was probably once prime salmon spawning territory hundreds of years ago, but now it is an invasive species throw down. There are bullfrog tadpoles that get huge because of the lack of predators and a bunch of smallmouth that most likely devour a lot migrating salmon fry in the creek. As one of the few undammed tributaries of the Sacramento River in the valley you would think DFG would take better care of it like Butte Creek. 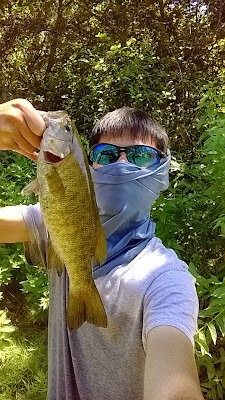 What ever the reasoning, it doesn't really matter because the smallie fishing there is great. I must have caught over 50 fish in a day on the same fly with visual hook ups 90% of the time. Its a good place to just hang out and catch a bunch of fish, especially if your using an UL fly rod. I'm jealous of the bass, bro! I have yet to catch any bigger bass this season. Good job, man! Thanks. The LMB bassin has been pretty rough for me this year when I intend to catch them. I'll have to find some new ponds to hit up.